The Southern Climate Impacts Planning Program (SCIPP) is a south central United States focused climate hazards and research program whose mission is to increase the region’s resiliency and level of preparedness for weather extremes now and in the future. 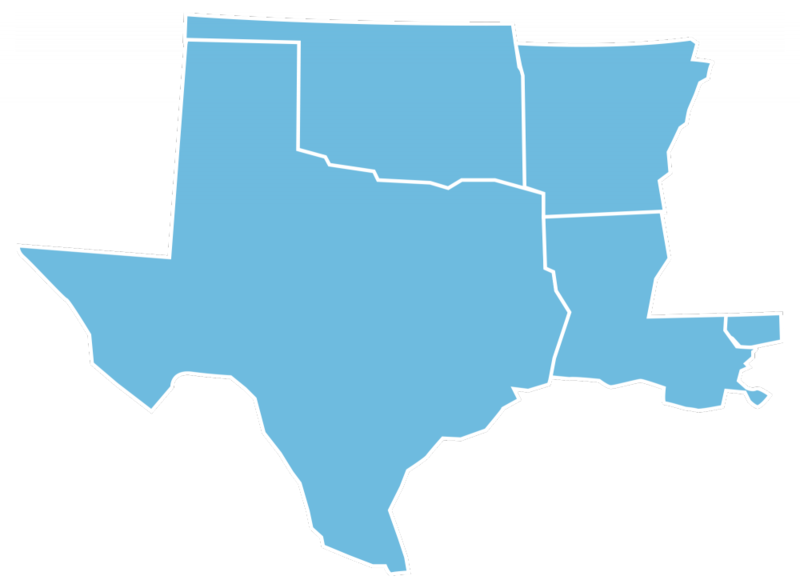 The area we serve includes the 5-state region of Oklahoma, Texas, Arkansas, Louisiana, and coastal Mississippi. From severe storms, flooding, drought, hurricanes and storm surge, heat waves, wildfires, to winter storms, the South experiences among the nation’s most extensive collection of climate-related hazards with many southern states ranking at or near the top of the lists in disaster declarations and billion dollar disasters. According to the Federal Emergency Management Agency (FEMA), SCIPP states are among the most disaster declared in the United States. As of late 2016, 5 of the 6 SCIPP states were ranked within the top 15 most disaster declared states across the country, with 3 of those states being ranked in the top 10. The SCIPP region also suffers from a frequent recurrence of droughts, which are not accounted for in FEMA disaster declarations. Regardless of the methods of designating disasters, SCIPP aims to bring equal attention to all major climate hazards through comprehensive historical datasets. How will climate variability and change affect water resources in the region? How will the frequency and/or intensity of storm hazards change? How can communities, agricultural producers, and agencies be better integrated to improve drought monitoring and early preparedness? What are the key vulnerabilities in communities, coastal zones, and important economic sectors such as energy production? What are the critical thresholds beyond which a community is incapable of adapting to extreme events? How are climate impacts portrayed in hazards management and other types of community plans? How can we systematically measure and record impacts for variables that are difficult to quantify? How can we foster dialogue on hazards and climate that translates discussion into action? Identifying new, critical areas of applied climate research for the south central U.S. as technologies, research, and knowledge evolves. The Regional Integrated Science Assessments (RISA) Program is a National Oceanic and Atmospheric Administration (NOAA) funded set of regional projects focused on strengthening the linkage between climate sciences and societal impacts. The program began in the mid 1990s to establish an increased level of communication between climate researchers and decision makers to enhance preparedness and mitigation for El Nino. In particular, RISA programs were developed to provide focus to regional climate variability issues such as water availability, agriculture, coastal issues, public health, wildfire vulnerability, coping with drought, energy issues, and many other areas of focus. Through RISA’s stakeholder-focused research, scientists and decision makers have successfully come together to openly discuss climate issues, share knowledge, and identify areas requiring more research and attention in the future. As of 2017, there are 11 RISA teams spanning much of the western, southern and eastern United States, as well as Alaska, and Hawaii. SCIPP is a collaborative effort between the Oklahoma Climatological Survey (OCS) and South Central Climate Science Center (SC-CSC) at the University of Oklahoma, the Department of Geography and Anthropology and Southern Regional Climate Center (SRCC) at Louisiana State University, the Department of Geography at Texas A&M University, and the National Drought Mitigation Center. Together, these institutions and organizations combine their expertise in climate, outreach, education, data quality and dissemination, and mapping to address the issues of climate hazards across the southern United States.